Which colored card base do you like the most? 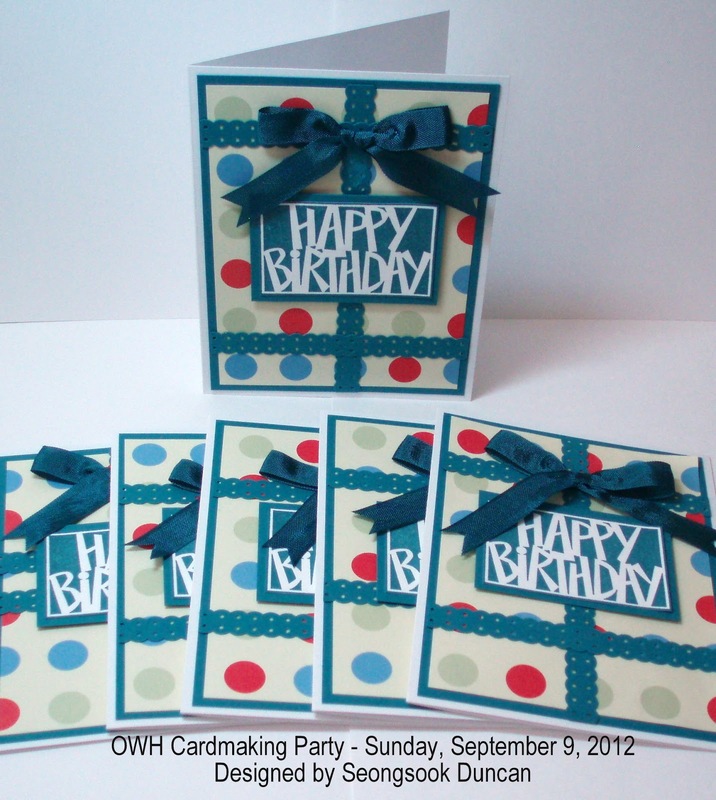 Gumball Green, Cherry Cobbler or Whisper White? 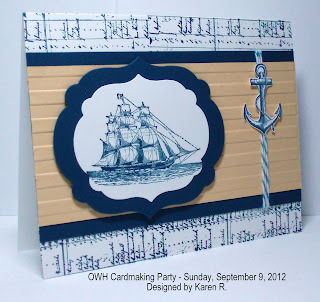 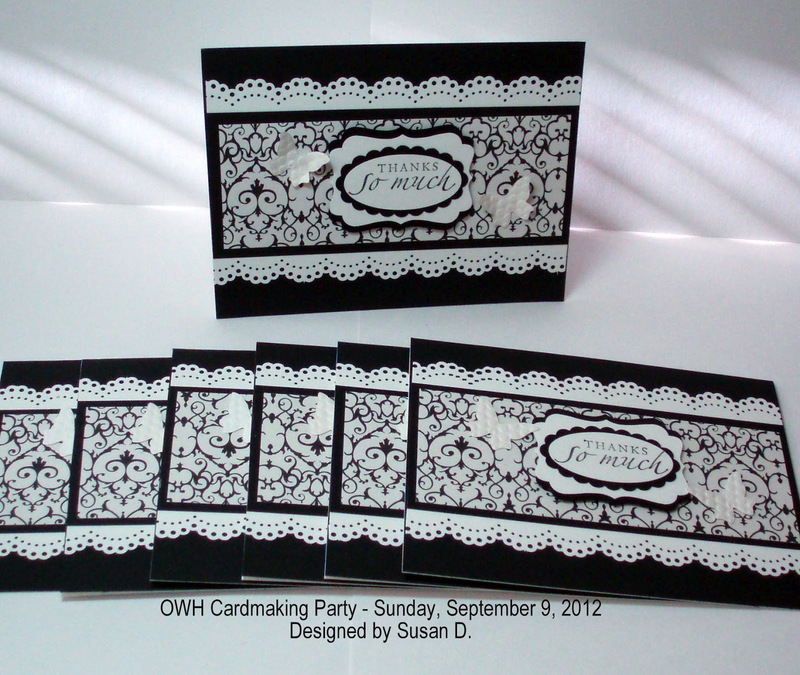 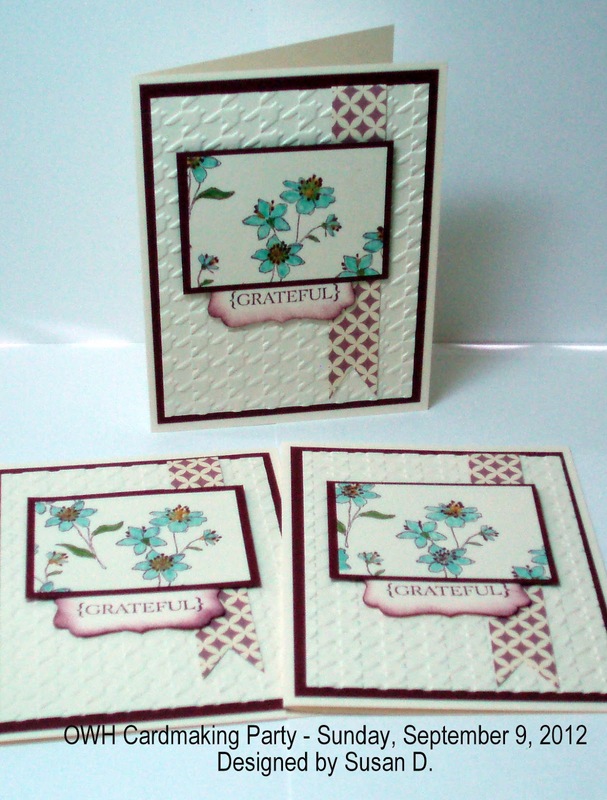 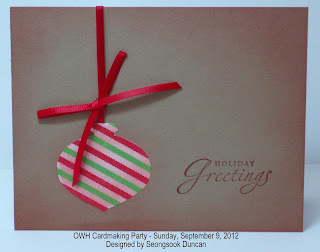 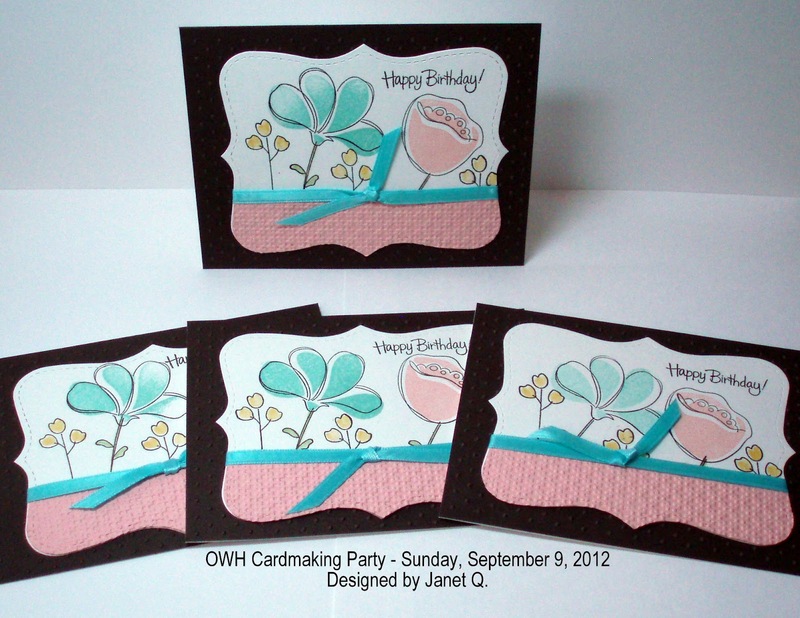 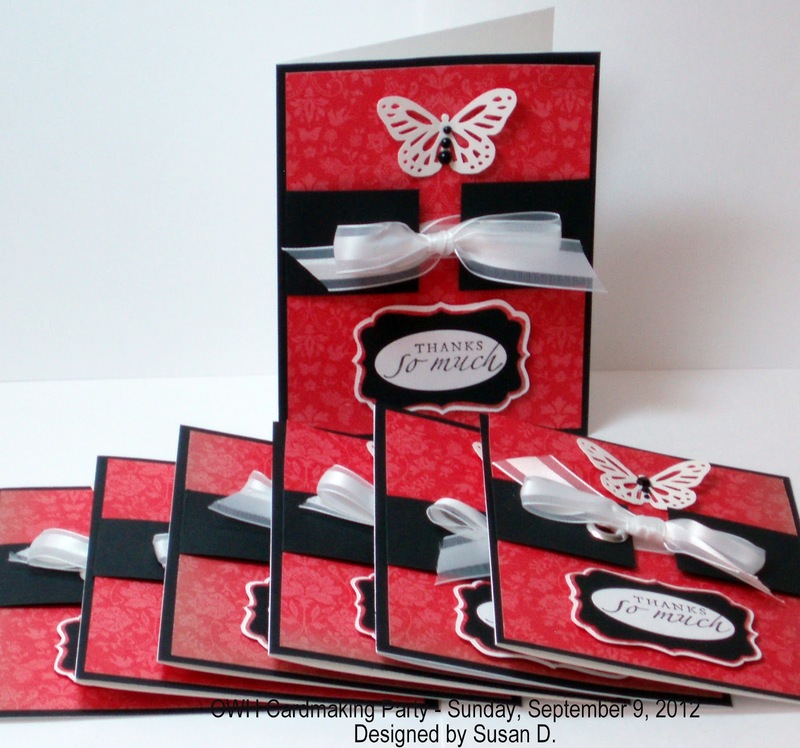 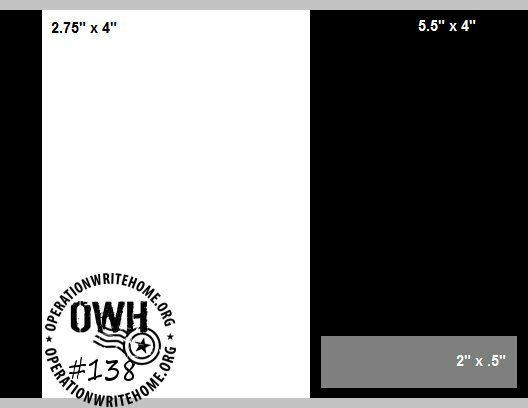 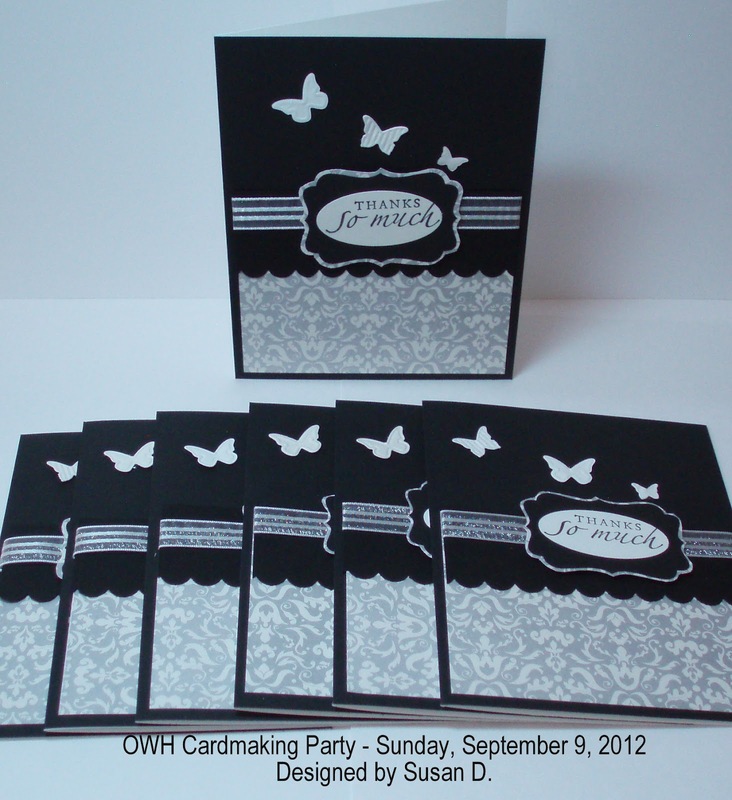 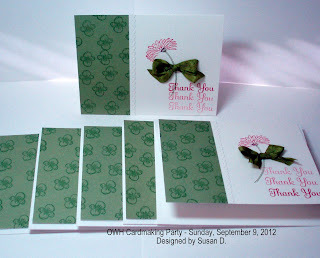 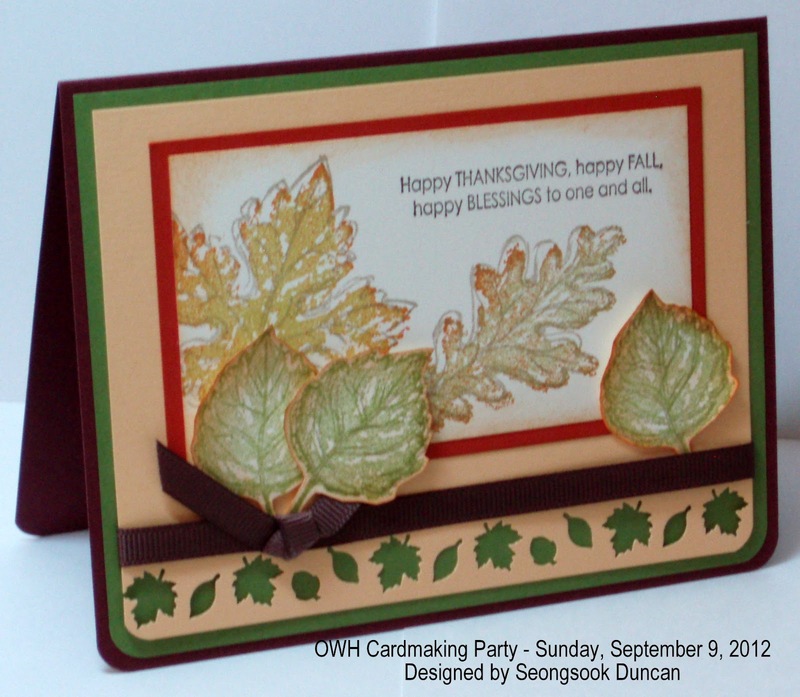 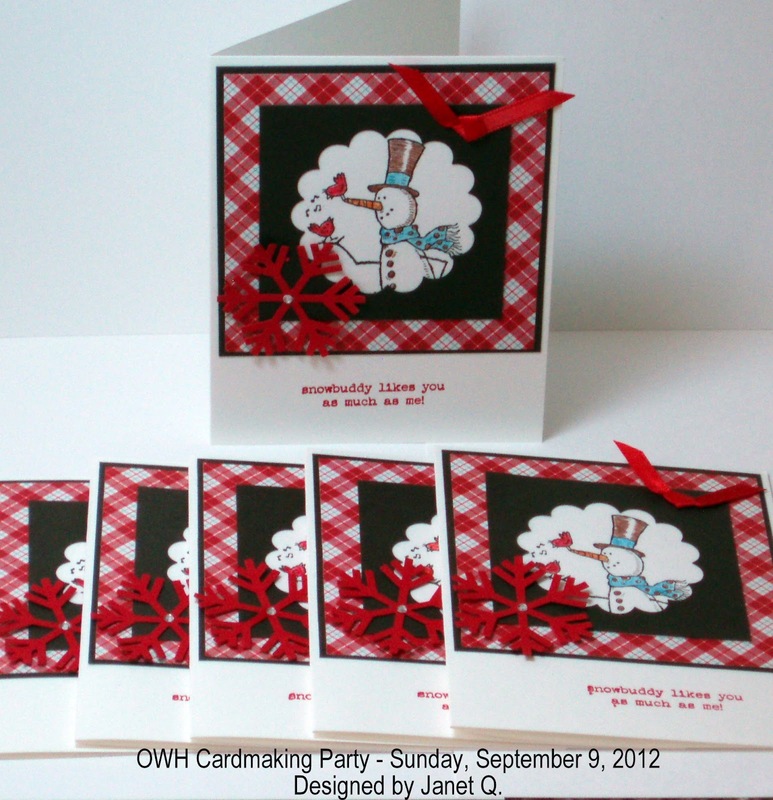 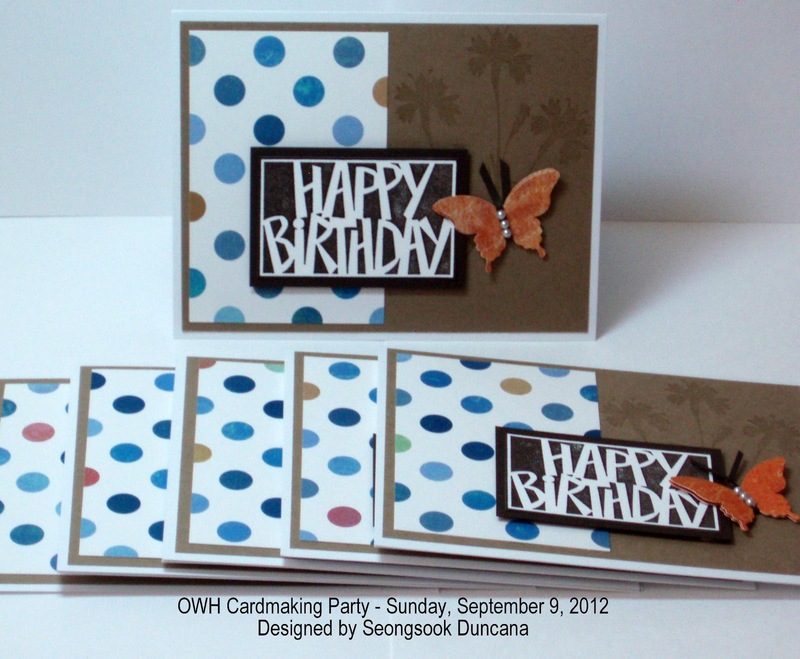 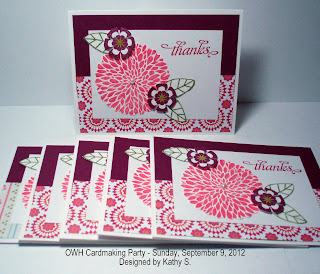 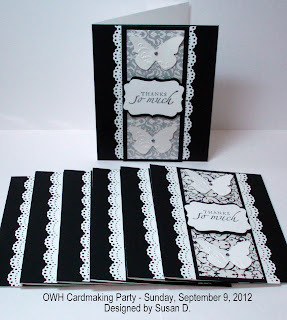 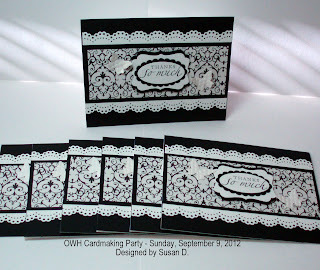 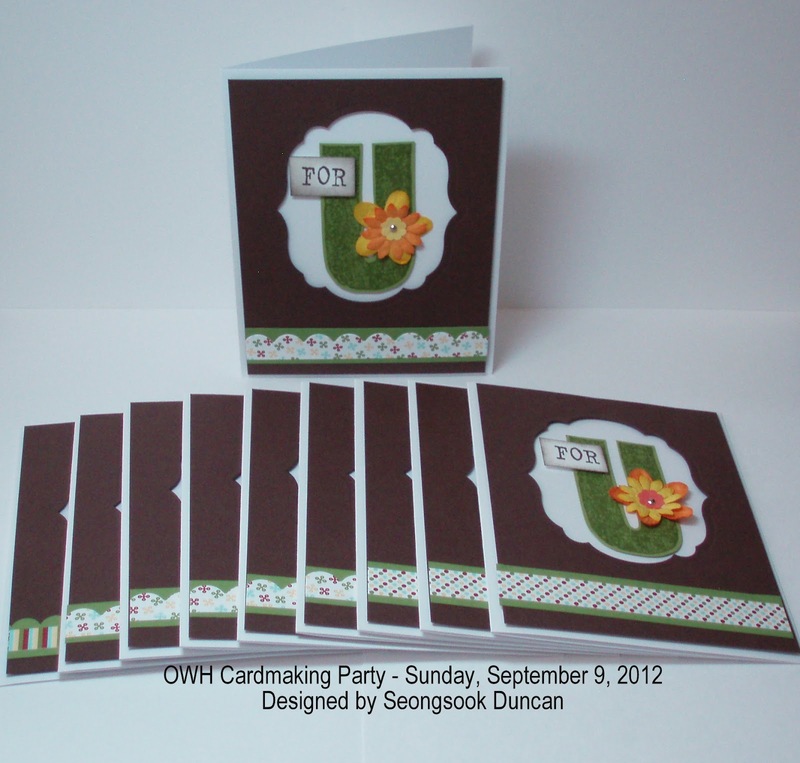 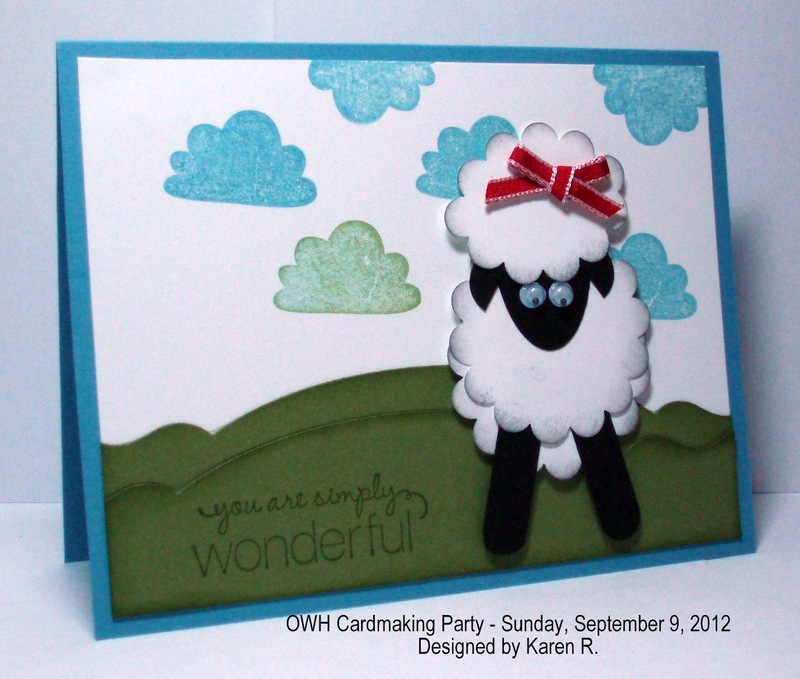 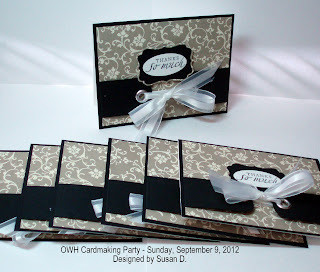 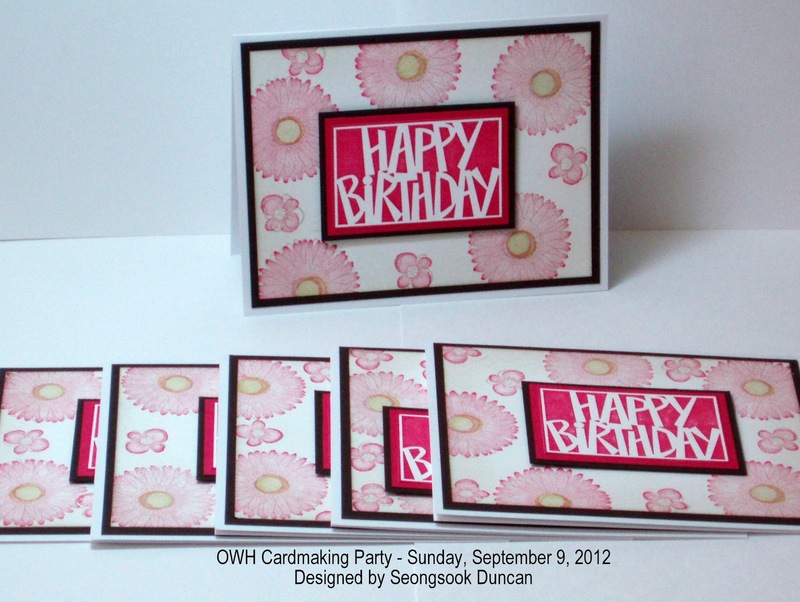 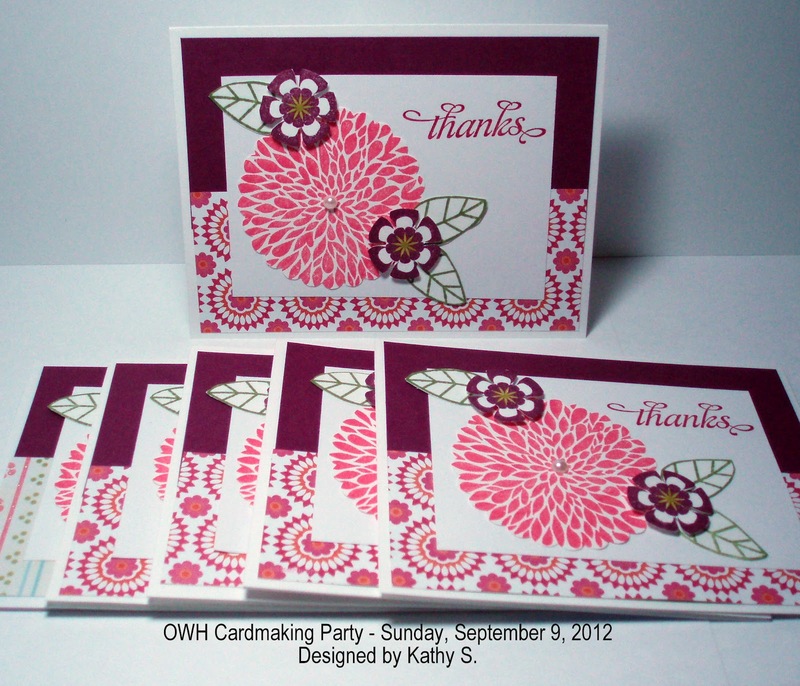 Thanks so much to Susan and her Mom, Kathy, Janet, and Joanie for participating in today's OWH Cardmaking Party. 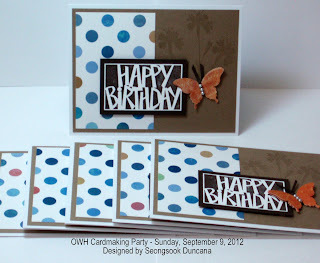 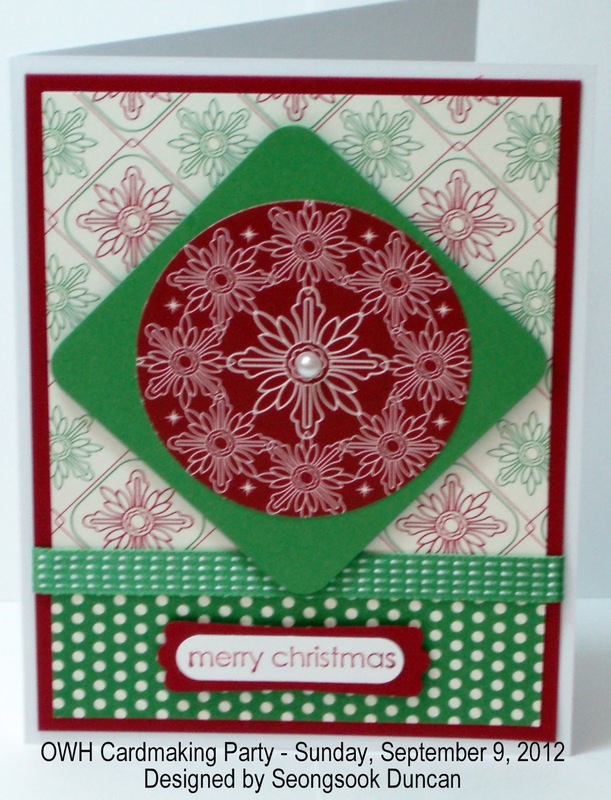 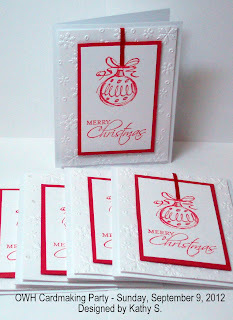 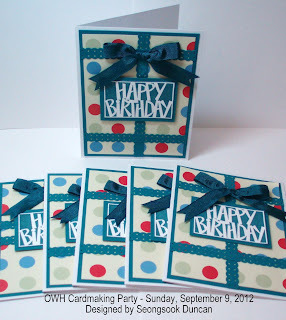 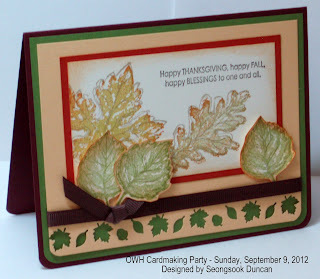 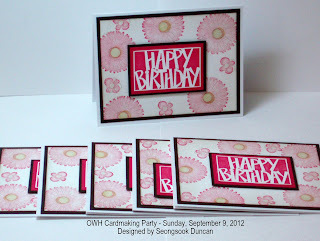 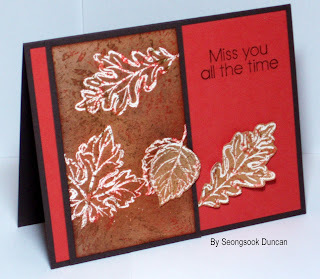 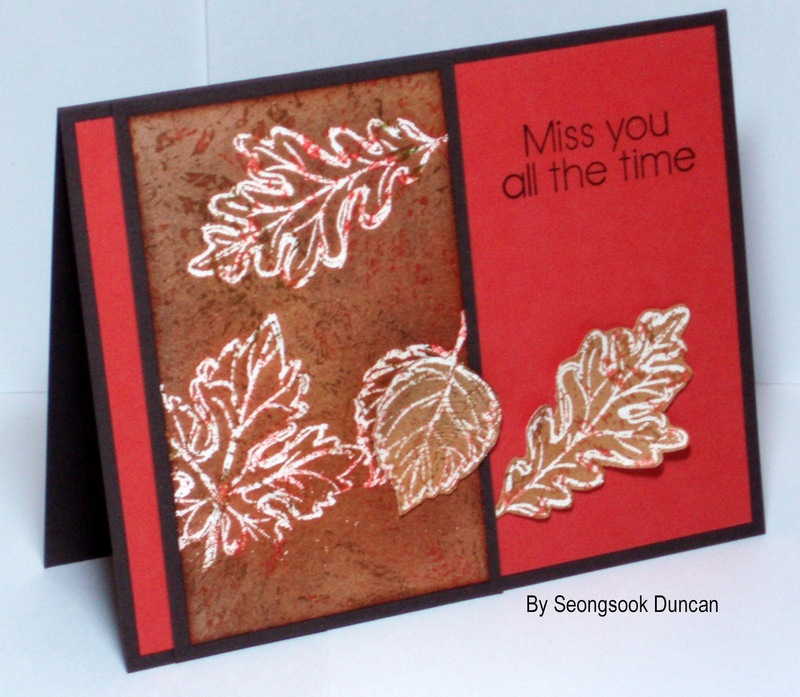 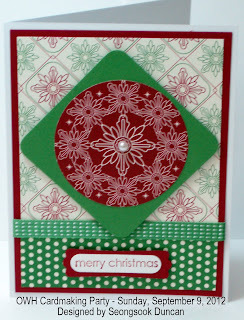 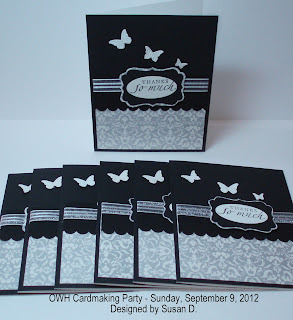 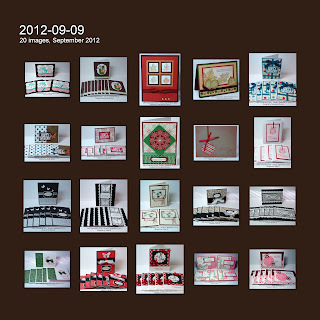 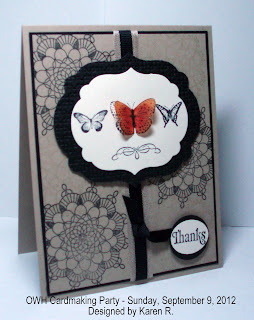 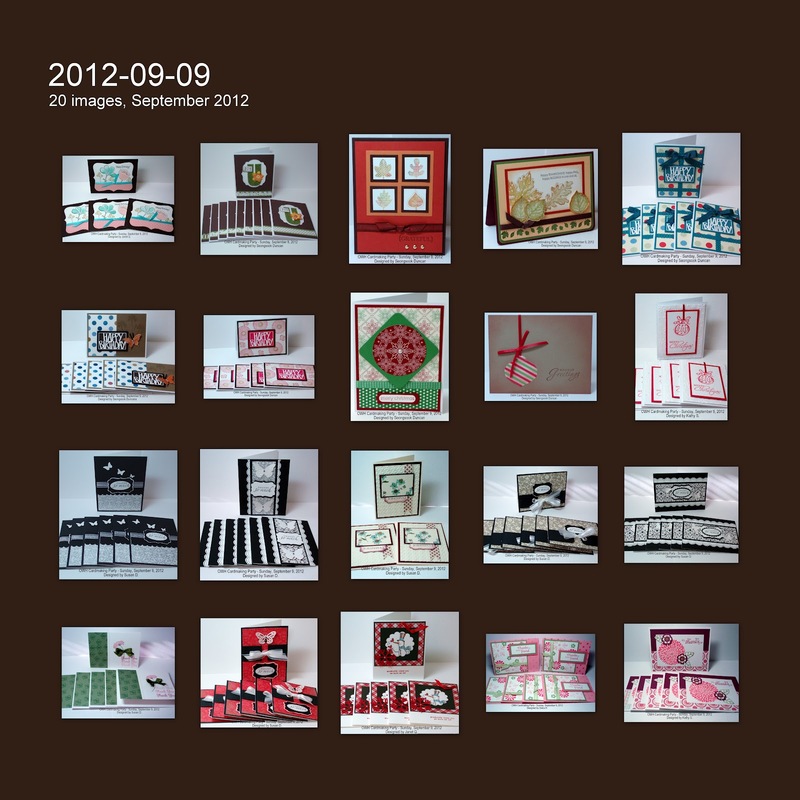 It was relaxed and fun cardmaking with friends. 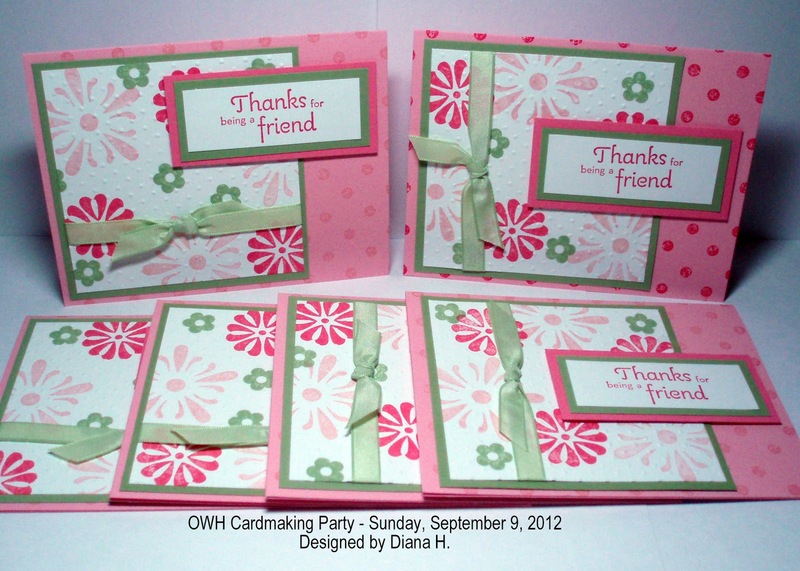 Thanks to Diana and Karen for donating cards.